Some things remain classics, while others continue to evolve. Such is life. One can easily bring to mind great sports cars, like the Ford Mustang, that have seen many changes over the years, but still retain their essence. As we grow and evolve, we keep the best and upgrade the rest. At The Desmond, we go through change, too. For instance, we’ve updated our restaurant space. It’s taken some time (change is a process), but we’re pleased with the results—and we know that you’ll be, too. We’ve even done a little name change with one of our eateries—and all will be revealed soon! What hasn’t changed, though, is our wonderful staff and unwavering commitment to offering the finest cuisine. You’ll still find those familiar smiles and favorite menu items. 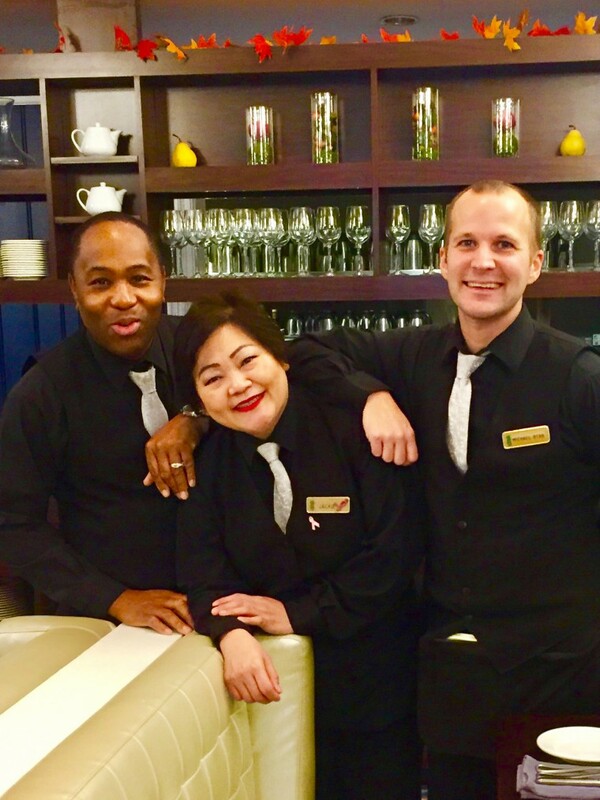 Our team is the heart of The Desmond, and it’s through them that we’re able to give all of our guests unparalleled service from the moment they walk in the door. Whether it’s a weeklong stay or an evening out, we’re here to make you feel at home. Home keeps you coming back, and just like some of our “regulars,” some of our staff members have been calling The Desmond home for decades. In fact, we’re so proud to have such an amazing, talented and caring bunch that for this blog post, we wanted to focus on them. Meet Jackie, Collin and Michael—a few of our team members who help make every day special. Read on to hear their thoughts on the new space and life at The Desmond. We hope you’ll visit us soon to see what’s new—and what’s not—and let our servers welcome you like family. This entry was posted in restaurants and tagged meet the team, restaurant, team. Bookmark the permalink.